Howard Phillips Lovecraft (1890-1937) was an American writer who achieved posthumous fame through his influential works of horror fiction. He was virtually unknown and published only in pulp magazines before he died in poverty, but he is now regarded as one of the most significant 20th-century authors in his genre. Among his most celebrated tales are "e;The Rats in the Walls"e; (1923), &qu… ote;The Call of Cthulhu"e; (1926), "e;The Shadow Out of Time"e; (1935) and "e;At the Mountains of Madness"e; (1931), all canonical to the Cthulhu Mythos. 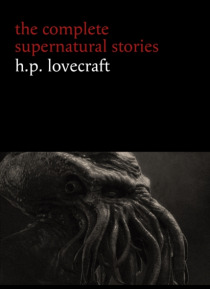 Horror, fantasy, and science fiction author Stephen King called Lovecraft "e;the twentieth century's greatest practitioner of the classic horror tale"e;.